Disney Bucket List: Celebrating Christmas at WDW! Welcome to this month’s Blogorail Orange Loop. 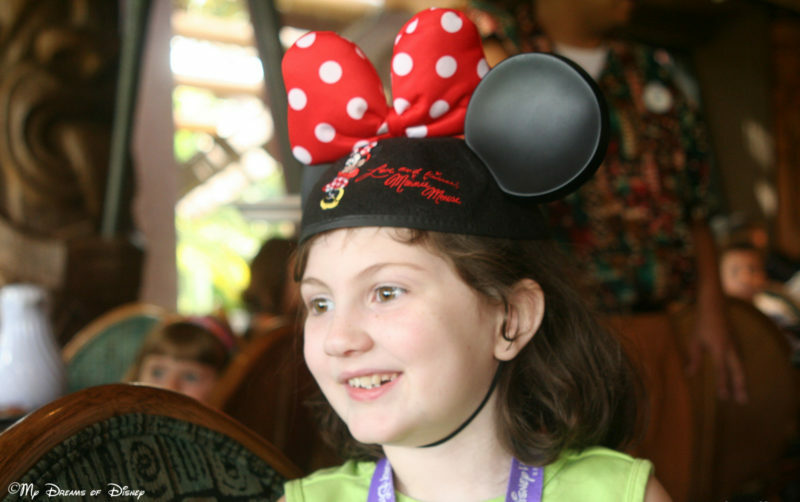 Today we are sharing our Disney Bucket Lists and what you should add to yours. When it comes to bucket lists, especially Disney bucket lists, it seems like everyone has at least one. For me, I probably have a 100 or so bucket lists, each one different from the last. However, at the top of my bucket list — my ultimate Disney bucket list — is celebrating Christmas at Walt Disney World! When you start talking about things to do at Walt Disney World for Christmas, there are five main things that I want to tackle when I’m able to go with my family. This list is in no particular order of importance to me, I want to experience all of these. First and foremost, I want to experience the splendor that is Main Street, U.S.A. in it’s Christmas finest. Seeing the exquisite building lit up and decorated, catching the magical feeling that you have on Main Street, and hearing the songs from the performers, I can only imagine what it is like. Additionally, I want to experience the different changes that the Cast Members employ on the various attractions. An example of this is the Jingle Cruise. Another thing that I want to experience when I’m celebrating Christmas is Mickey’s Very Merry Christmas Party. This party is something that I absolutely want to do one time. From what I understand, most people feel like experiencing it once is all you need, because this separate ticket experience is kind of pricey. But for someone who’s never been there before, I definitely feel like it is something we need to experience. Every year at the Epcot theme park, Walt Disney World unveils the incredible Candlelight Processional. Located at the amphitheater outside of the American Adventure Pavilion, the Candlelight Processional is a special event that involves a guest narrator and special musical performers to tell the story of Jesus’ birth. For this reason alone, I absolutely have it in my list of things I need to experience at Walt Disney World. Coupled with the Candlelight Processional is the Holidays around the World exhibits at each of the Pavilions. These special festivals tell the holiday traditions that you can encounter at each country. Unique and charming, I believe that hearing these different variations on Christmas will leave a lasting impression with me, and would you also. One of the last things I want to experience at Christmas is an in-depth look at how the different resorts get setup for Christmas. 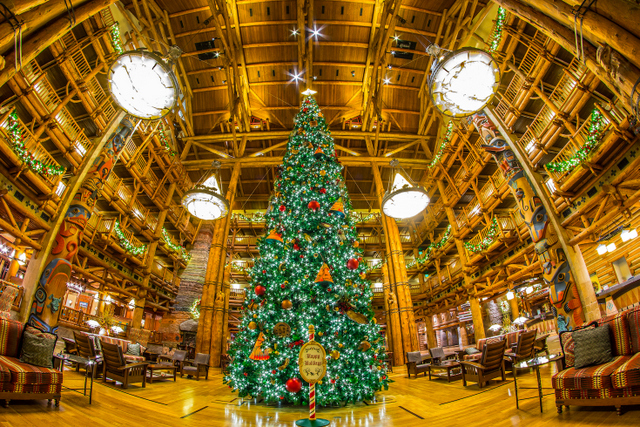 Pictured above, the Wilderness Lodge Christmas Tree is a striking example that I really want to see in person. Additionally, taking a look at the Gingerbread House at the Grand Floridian and the Carousel at the Beach and Yacht Clubs really catches my attention. The little things at Walt Disney World are what make it the premier vacation destination in the World in my opinion. Tell me, how did I do on my list? What have I left off that should be included? Please let me know in the comments, and thanks for following along on one of our dreams! 2nd Stop – My Dreams of Disney | Disney Bucket List: Celebrating Christmas at WDW! Delicious Dining at ‘Ohana with Lilo & Stitch! Welcome to this month’s Blogorail Green Loop. Today we are sharing some of the best breakfast spots at Disney. On the opposite side of the Seven Seas Lagoon, almost directly across from the Magic Kingdom, is Disney’s Polynesian Resort. This resort is the home of many things, but one thing that stands out for us almost as brightly as the resort is the delicious dining experience we have had at ‘Ohana for their Best Friends Breakfast featuring Lilo & Stitch. When most people think of the delicious dining at ‘Ohana, they think of the wonderful cuisine they encounter for their dinner menu. 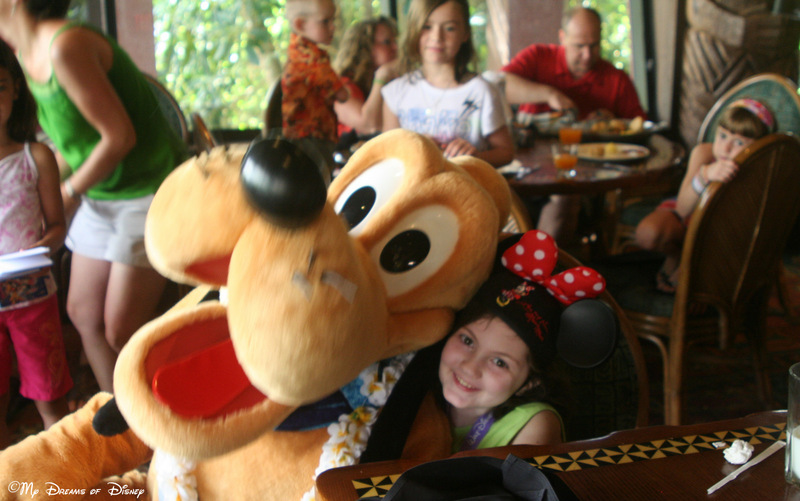 For me, though, I’ve always been a fan of character dining — I am to this day — so when we ate here, we scheduled a late breakfast so that we could enjoy a hearty breakfast, along with some fantastic character interactions! 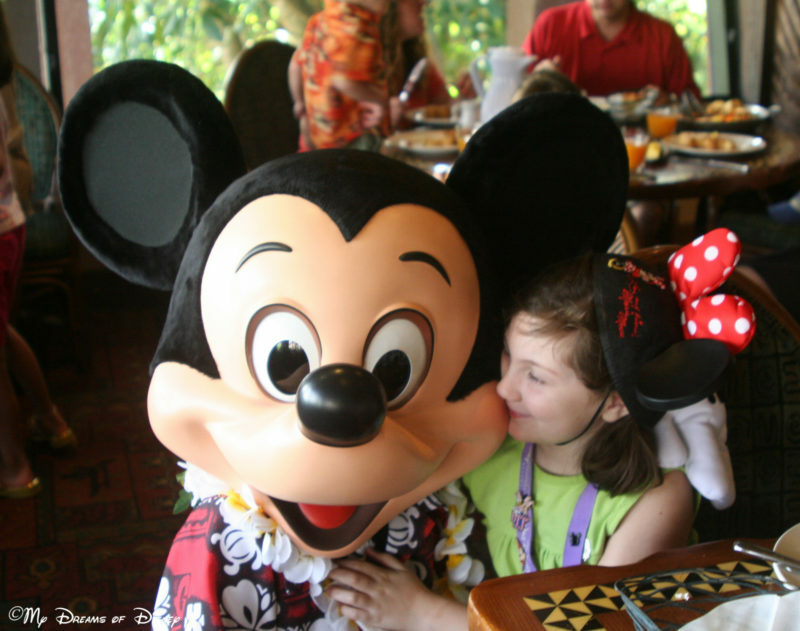 Most Walt Disney World character breakfasts are the same — Mickey Waffles, eggs, fruit, potatoes, etc — and in some regards, ‘Ohana is very similar. But what sets this delicious dining experience apart, in my opinion, were the Pua’a (Pork) and the Uala Kahiki (Fried Potatoes). I even had some of the Hua Paka, and if you ask my wife, you’ll learn that I am not a big fan of eggs! The sausage was served as links, and they were sweet and savory, and just a hint of spice to them. The bacon is, as always, good, because everything’s better with bacon, you know, and the fried potatoes, well, they were incredible, to say the least. In addition to the good food, of course, were the character interactions. Along with Lilo and Stitch, we were also met by Mickey and Pluto, and some of the interactions between them and Sophie are among my favorite memories from Walt Disney World. Pluto leans in for a picture! 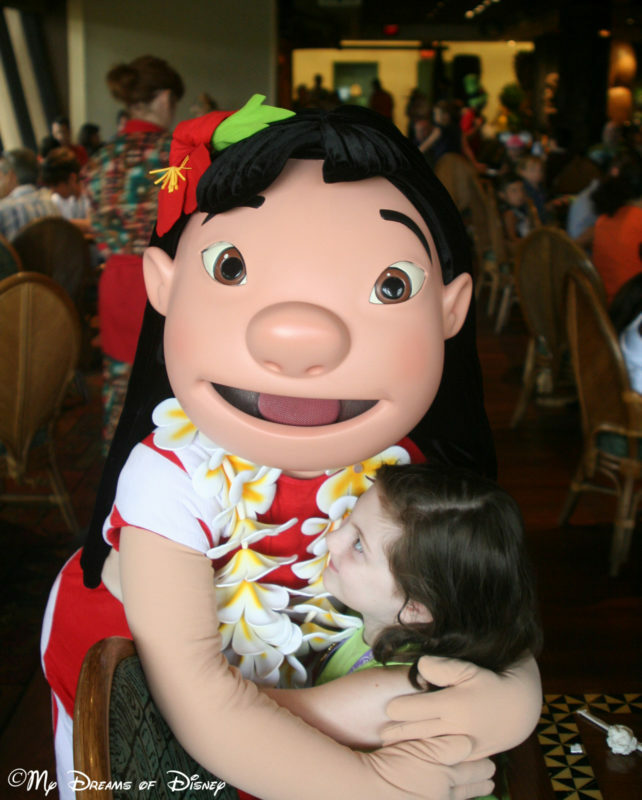 When considering where to take your kids for some great character interactions, give ‘Ohana a lot of consideration. I think you will enjoy it as much as we did! 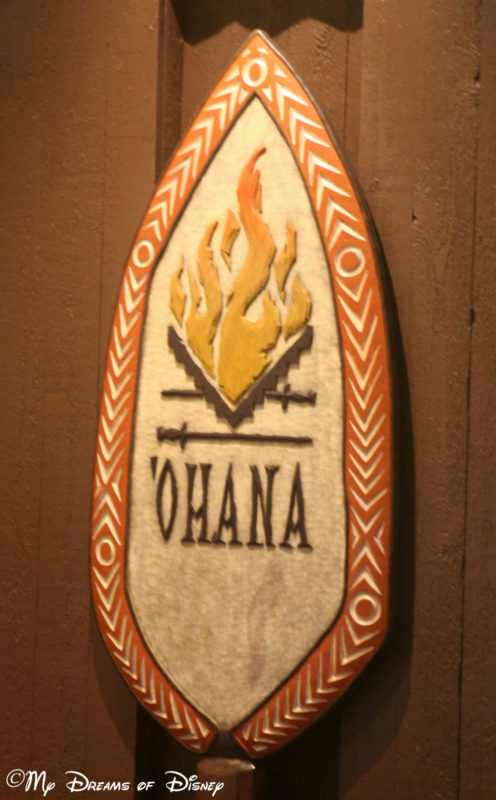 Have you eaten at ‘Ohana for breakfast? If so, what did you think? Let us know in the comments, and thanks for stopping by! Make sure you check out some of the other great places to eat by my Blogorail teammates! 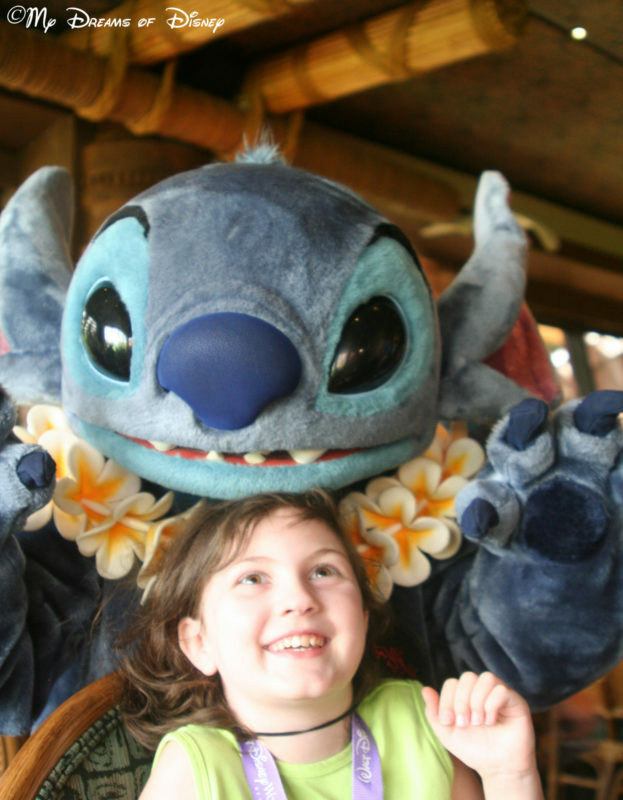 4th Stop – My Dreams of Disney | Delicious Dining at ‘Ohana with Lilo & Stitch! Welcome to this month’s Blogorail Orange Loop. 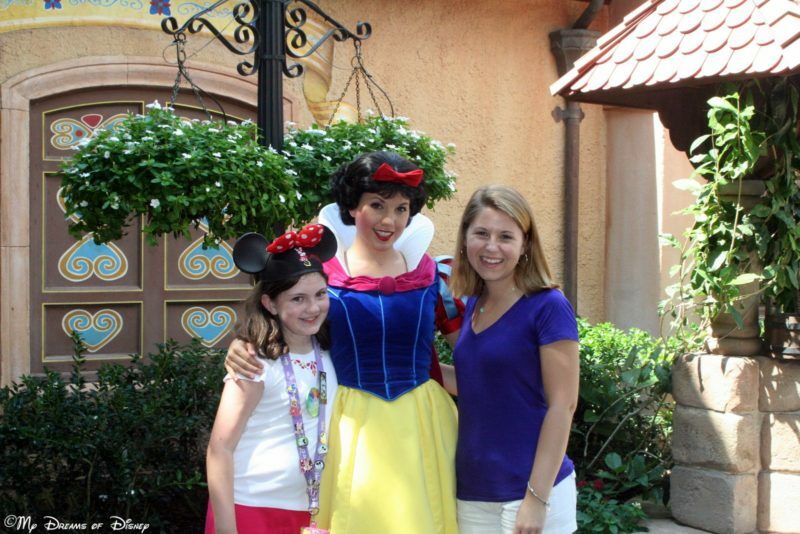 Today we are sharing our reviews of the moderate resorts at Walt Disney World. In 2007, my wife and I were planning our first trip to Walt Disney World where we would stay on property at one of the Walt Disney World Resort hotels. This was exciting for us, as we had only stayed off property before, but the question was, which resort should we stay at? Originally we were looking at staying at one of the All Star resorts, but we ultimately decided that we would elect to stay at a Moderate category resort, Disney’s Coronado Springs Resort. It was a decision we would never look back on with regret! We actually stayed at Coronado Springs for two years in a row, 2007, and 2008. The first year, we had a great room that was located right by the bus terminal, easily within just a few minutes from our location. 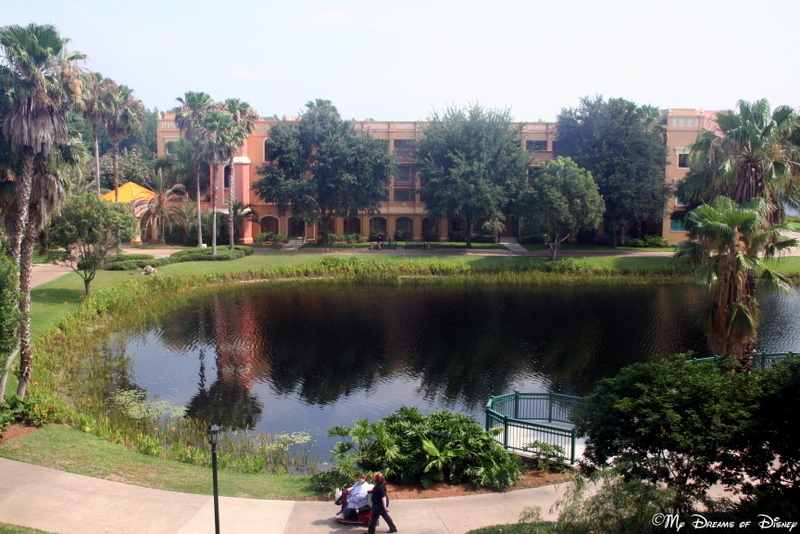 That section of Coronado Springs is called the Cabanas, and our room was located in the building closest to El Centro, so it was a very convenient location for us. For Dining options, Pepper Market is considered a quick service eatery, but we really enjoyed it. Located throughout that establishment was great options for everyone, and it really did feel like you were in a Mexican style market setting. For table service locations, Maya Grill is available for dinner only, while Las Ventanas is open for breakfast, lunch, or dinner. Other options include Cafe Rix and Siestas Cantina for quick service options, and the Laguna Bar and Rix Lounge for unwinding. 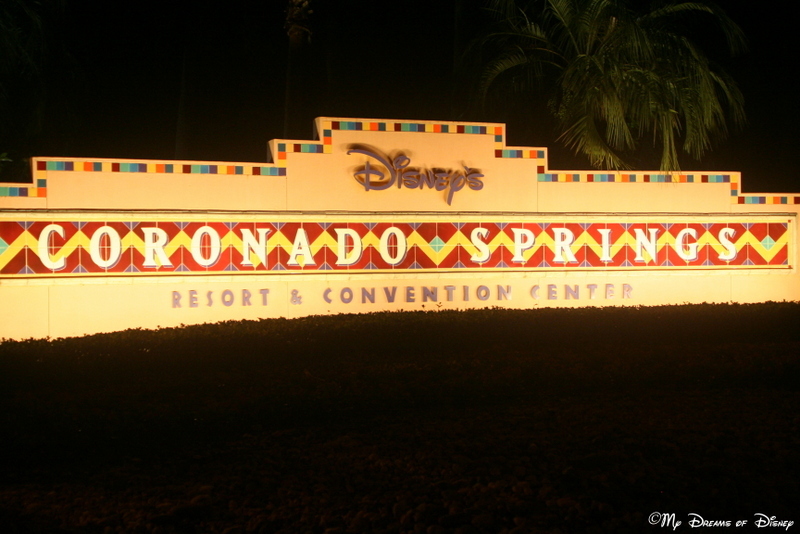 In addition to being a Disney resort, Coronado Springs also serves as one of the Convention Resorts for Walt Disney World. As a result, the property is huge, with a combined 1,921 rooms and suites available. In our two years of staying at Coronado Springs, we never had a situation where we were staying while a convention was going on. 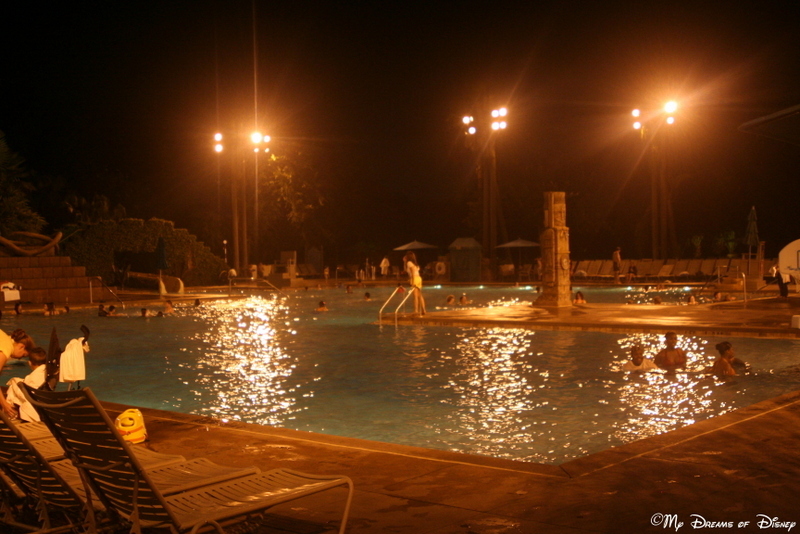 In my opinion, the Dig Site is near the top of my list for pools at Walt Disney World. I obviously haven’t experienced all the pools, but this one is cool, features a Mayan style pyramid, a water slide, and is huge! To me, it seems that Coronado Springs gets a bit of a bad reputation because of the Convention Center; don’t let that discourage you, give it a shot, you might find your new Disney Destination! Visiting Walt Disney World in the fall is, in my opinion, one of the best times of the year to visit. Here’s 5 reasons why we enjoy visiting Walt Disney World in the fall! Depending on the time of the season you visit, you may be able to experience the Food & Wine Festival. This yearly event is held each year in Epcot, and features incredible kiosks of different types of food and wine not normally found at Epcot. In addition, it also features special presentations from all sorts of celebrity guests. 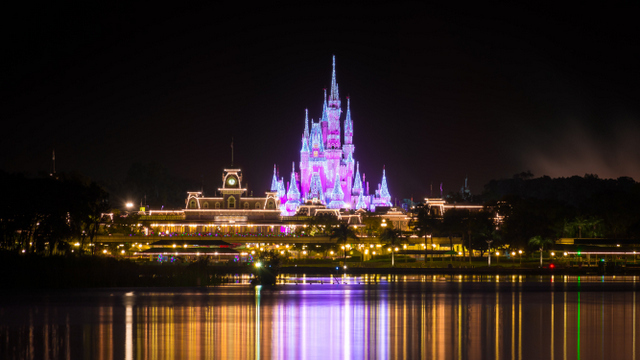 For 2016, the event runs from September 14 – November 14, almost a full 2 weeks longer than it has ever been, so if you can make it to Walt Disney World to visit, that’s a great time to go. Over at the Magic Kingdom, this year Mickey’s Not-So-Scary Halloween Party will be held on 29 nights, running from September 2, 2016, through October 31, 2016. If you are interested in going and dressing up in costume, check out this post from the Disney Parks Blog, it goes into detail some of the changes this year for costumes. Prices vary depending on how close it is to Halloween, so plan accordingly; also, some dates may already be sold out due to the popularity of this event, but I’m certain that there are dates on the schedule that will not be sellouts, but look into it today to help in your planning. School is back in session for most kids in September and October, so if you can go during this time, you’re going to find that the crowds are much less than during the summer months or other peak season times. Even October 1, 2016, also known as the 45th Anniversary of Walt Disney World (and Magic Kingdom) is only at a crowd level of 6 out of 10 for the whole resort, and 7 out of 10 for the Magic Kingdom, according to Touring Plans. Although September and October is still in the heart of the Hurricane Season, generally speaking, the weather at Walt Disney World during these days is absolutely incredible. This year, the first half of September is looking at temperatures in the high 80s, and mid 70s for the lows; of course, it isn’t Florida without the forecast being Scattered Thunderstorms, but that’s the same during the other months of the year as well, so just be prepared. 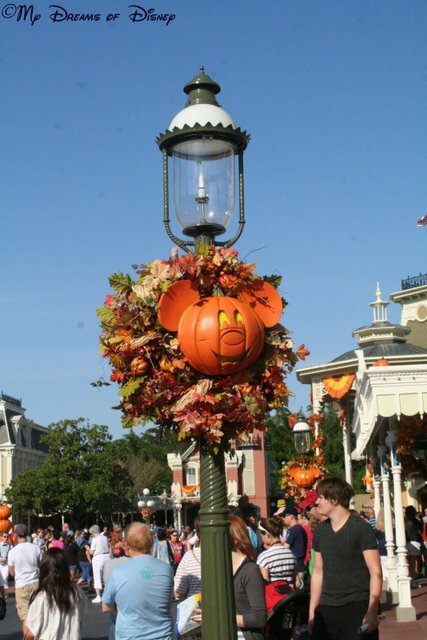 The Mickey Pumpkin Lamp post! I’ve heard of changes to some of the fall decor, but to me, regardless of what the decorations are, I think that they are going to be great! So, in conclusion, I’d say that if you can make it to Walt Disney World during the fall season, I’d say do it! You will enjoy it very much, and you might just find a new favorite time of the year to go to Disney! What other reasons do you have that I don’t have for visiting Walt Disney World in the fall? Please let us know in the comments, and thanks!